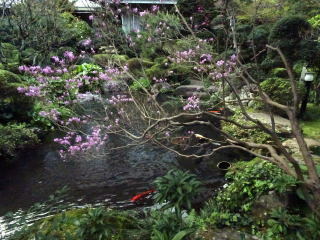 by an express car from Shinjuku station in Tokyo. 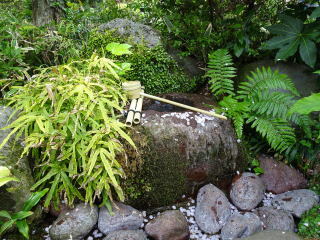 This area has a history stretching almost 1300 years as a hot spring. 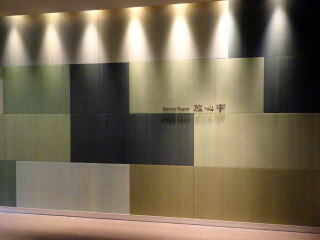 a financial combine. 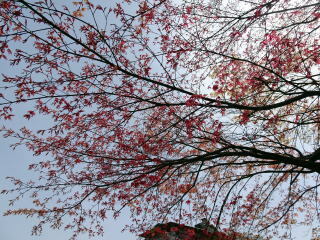 Here, you can enjoy the beautiful natural scenery that changes every season. 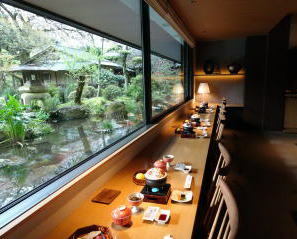 Yoshiike Rykan is a modern ryokan in Kanagawa Prefecture. 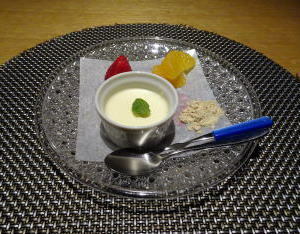 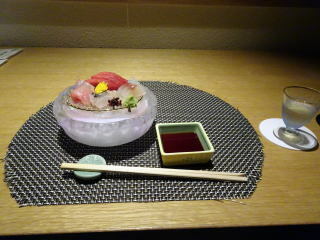 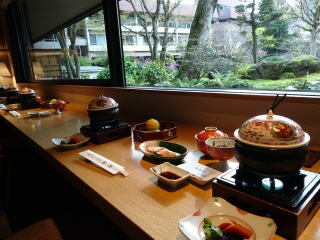 It offers guests friendliness and Japanese-style hospitality. 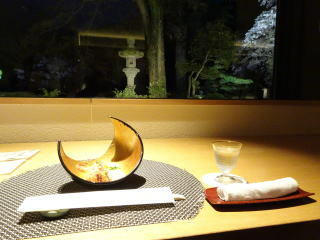 ★A ryokan is a type of traditional Japanese inn that originated from the Edo period ( 1603-1868). 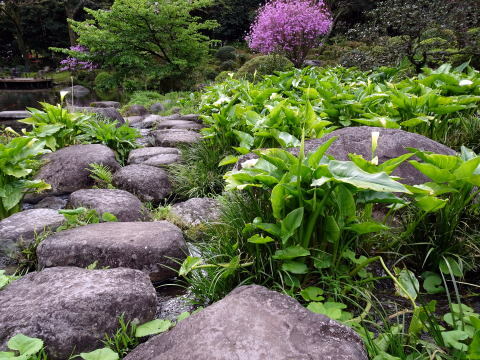 They typically feature tatami-matted floors, where a guest may wear a yukata, a kind of kimono. 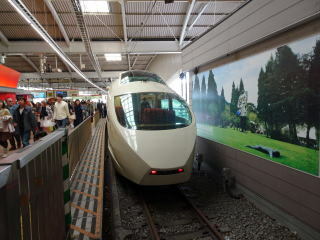 (2) From Tokyo station: Take Tokaidou shinkansen super-express train to Odawara; then, change a train to Hakone-Yumoto. 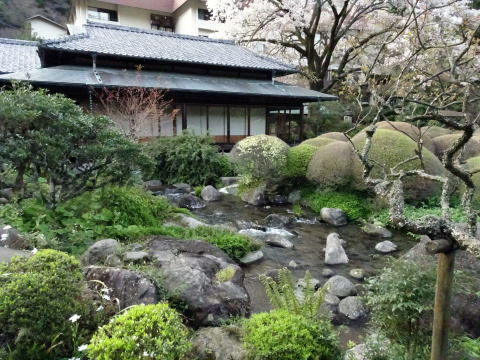 A Japanese garden was used in a villa of the Iwasaki family, the founder of Mitsubishi Zaibatsu. 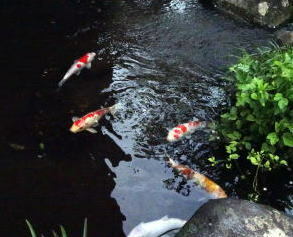 A Japanese garden with a carp: There are 1,000 carps in this pond. 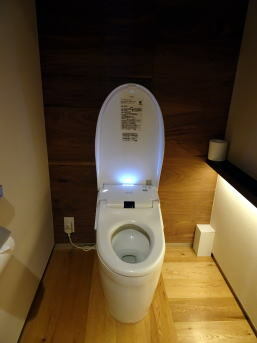 A twin-bedroom with an automatic toilet with a bidet; this room has been recently renovated and designated as smoke-free. 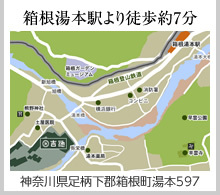 This rokan, Yoshiike has a total of 64 guest rooms. 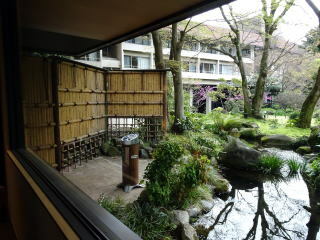 Six rooms on the fourth floor of the main building are smoke-free (non-smoking). 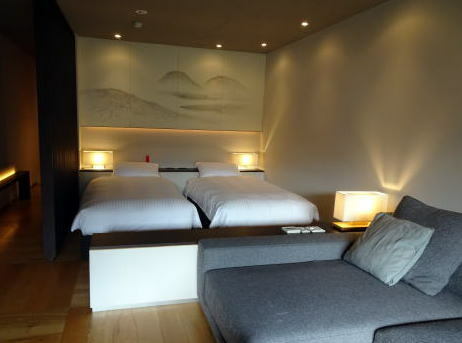 Smoking-room rate of this accommodation is 90.6%. 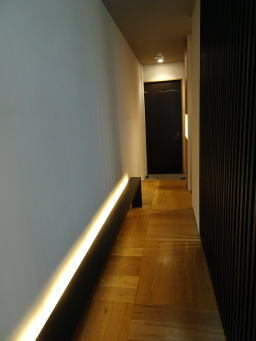 In all other rooms, smoking is allowed. 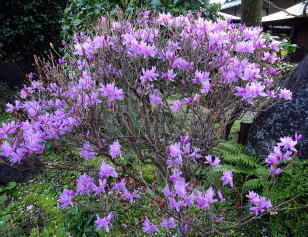 If a tobacco smell remains, they will remove it by a deodorant work. 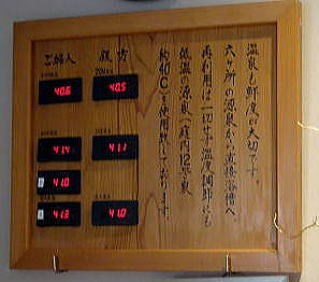 (L) This panel shows a hot-water temperature at each public hot-spring bath. 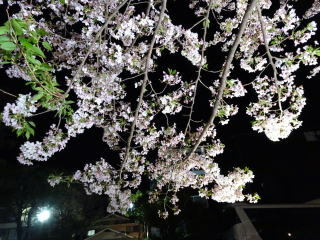 (R) Open-air bath: At night, a shower of cherry blossom is so fantastic that nobody thinks it in the everyday world. 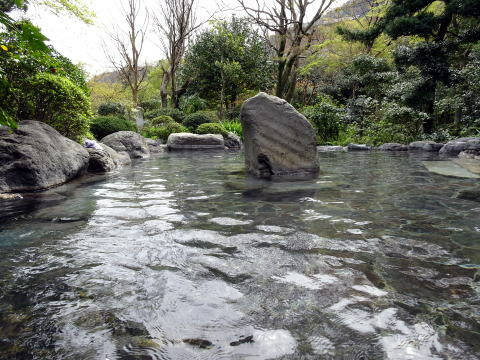 There are six hot-spring sources, creating a total of 720 liters per one minute of hot-water springs from the land of Yoshiike. 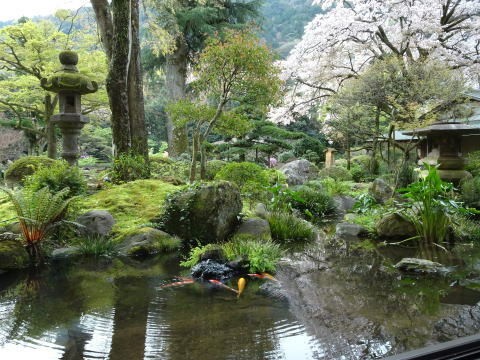 For all baths, the over-flow methods are applied. 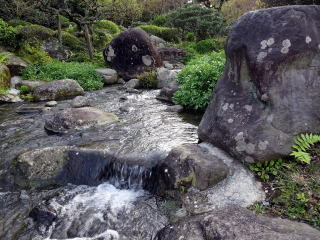 They never re-use a hot water twice by circulating it. 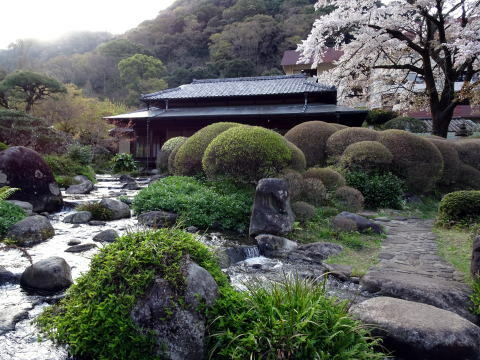 A hot water is also used as a heating system of the buildings. 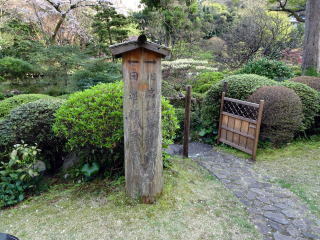 (L) A designated smoking place is observed on the outside of Senshintei restaurant, which prohibit smoking. 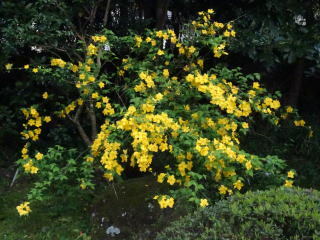 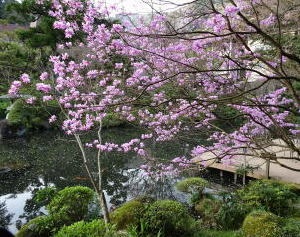 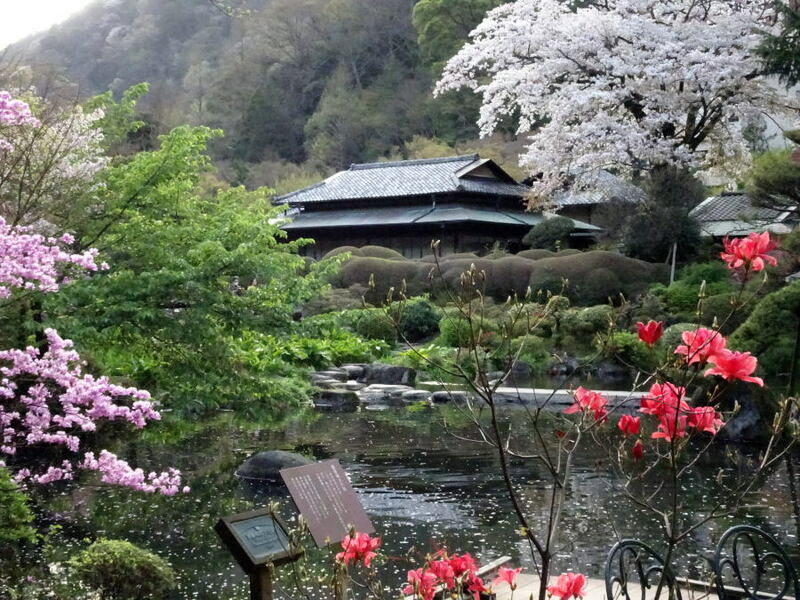 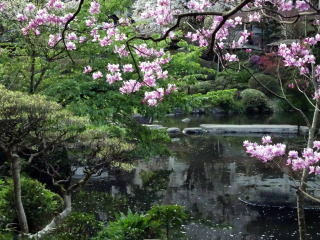 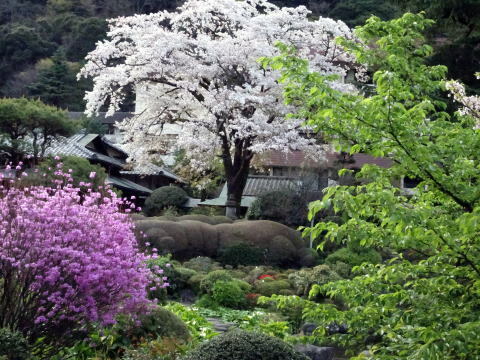 In April, you can enjoy various flowers in a Japanese Garden.